When I was 18, just after finishing 6th form I decided to fly out to Australia and New Zealand for 6 months. This seemed like a massive deal at the time, my mum was in a frenzy, endlessly worrying about my diabetes control and how I was going to cope with travelling around with 6 months worth of insulin, keeping it all cold and also maintaining a steady blood sugar level. But in the end it didn’t need to be that complicated. I’ve learnt from the mistakes I made, picked up tips by trial and error along the way and in the end had a bloody good time! Here is a list of tips to ease your mind and not let diabetes stop you. 1. Purchase some FRIO Wallets. 2. There is no need to take the amount of insulin for the duration of your trip. In Sydney I had 5 ½ months of insulin stolen out of a communal fridge in a hostel. This left me with just the 2 injections I had on my person. Luckily it was easy enough to visit a chemist, show them my prescription, and purchase some more insulin. You’ve got to remember that no matter what country you go too, there are going to be diabetics there. Now they aren’t all as lucky as us to get insulin free on the NHS but the price isn’t going to be high, as locals would not be able to afford it! 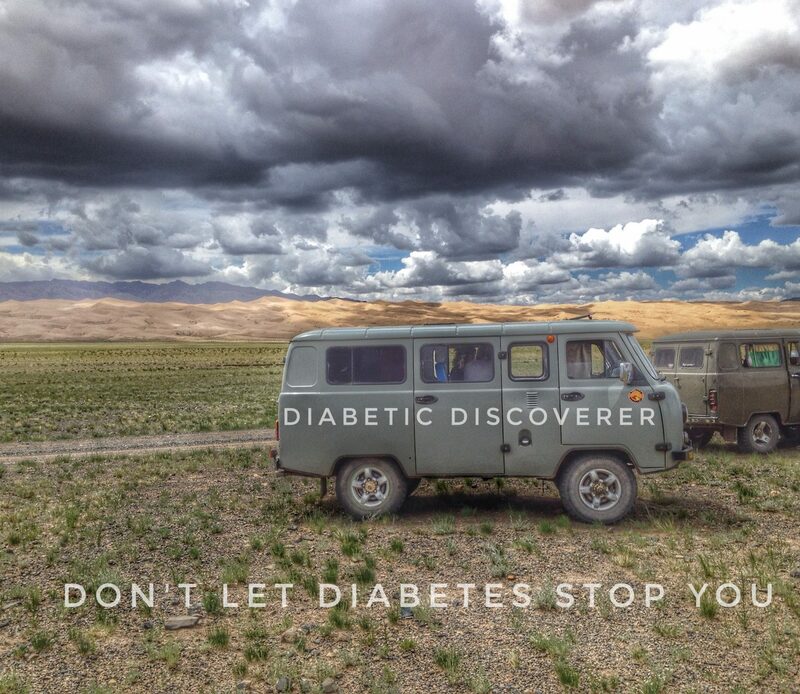 For my next trip, leaving to Mongolia on June 18th, I have not set an end date, I just know that I’m going to take 2 months worth of insulin with me. That’s 2 FRIO wallets with 10 Lantus and 10 NovoRapid injections in, not too hard to carry at all! 3. Contact the insulin supplier to find out which countries have your insluin. “I can confirm that Lantus is available in the following countries. Now that last bullet point was and still is a bit of a stumbling block, so we made Mongolia the first place we were going to visit. Fingers crossed I don’t lose my insulin in the first month. No but seriously, I have an appointment at the diabetic clinic next week to discuss alternative insulin options, check back here soon to find out. 4. Take 2 Sugar Level Testers. Now this is a bit of a no brainer really, always have a back up! Also contact the supplier of your needles and test strips, to find out which countries they are and aren’t supplied too. 5. Always have a stocked supply of sweet juice and dextrose tablets. Again this is a no brainer, you would do this in everyday life so why would it be different when you are travelling? Now the brands will probably not be the same, but any supermarket/shop, anywhere in the world will have a supply of Coca-Cola or juice. If anything, the hardest thing to find is a diet drink! 6. Obtain a letter from you doctors of clinic stating you are diabetic and are allowed to carry injections and syringes. This has got me out of a few sticky situations in the past. Most airports don’t bat an eyelid when taking your insulin through security, they know about diabetics. As long as you say your diabetic before putting your bags through security, they don’t even check the letter. However in Sri Lanka, on the way home, they didn’t trust me. They asked to see the letter, and got it translated, then all was ok. I stopped in LA for 12 hours on my way back from Australia. We all know what American security is like. They took every injection out of its pack, literally looked at every single one, even though they’d seen the letter! 7. Make sure you always wear a Medical Alert necklace or bracelet. I hope you’ve all got one of these already, if not get one, there are some quite stylish ones out there now. Make sure you wear it all the time, because if you do have a hypo, this is the way people will find out whats wrong with you! Also to back this up get a diabetes card for your wallet, stating you’re diabetic, what to do if you collapse and your name and contact information. 8. Changing the timing of your 24 hour injection to fit in with the time difference. For example, I do my Lantus injection at 9pm every night. If i was to go to Australia, an 11 hour time difference I could not continue to do my Lantus at 9pm, as I would miss an injection. When I went to Australia I was leaving England at 12:15 pm and arriving in Sydney at 20:05 the next day. So 3 days before I flew I moved my Lantus injection time back 2 hours each day, meaning I was taking my insulin at 3pm UK time. That meant with flight duration and time difference, when I arrived in Australia I was taking my Lantus at 9pm, Australia time. I hope that makes sense, your diabetic clinic can work that out for you! 9. Have the emergency service numbers for each country on you at all times. Before you leave, or as soon as you get to your new country, find out the emergency numbers for the police, fire brigade and medical services. Keep them on you at all times incase you ever get in to trouble. You can get these numbers off the countries embassy website, please note that the numbers are often different for each of the services, not like 999 in England. So in a nutshell I know that with a prescription I can pick up the insulin I need around the world, meaning I don’t have to carry a years supply around with me. You can listen to people’s advice and get good ideas, but in the end you know your own body, you know how your diabetes reacts in certain situations, so just go with the flow, take the necessary precautions, but all in all, just have fun! I’ve said before I’m not a planner, but I suppose this is a semi plan!